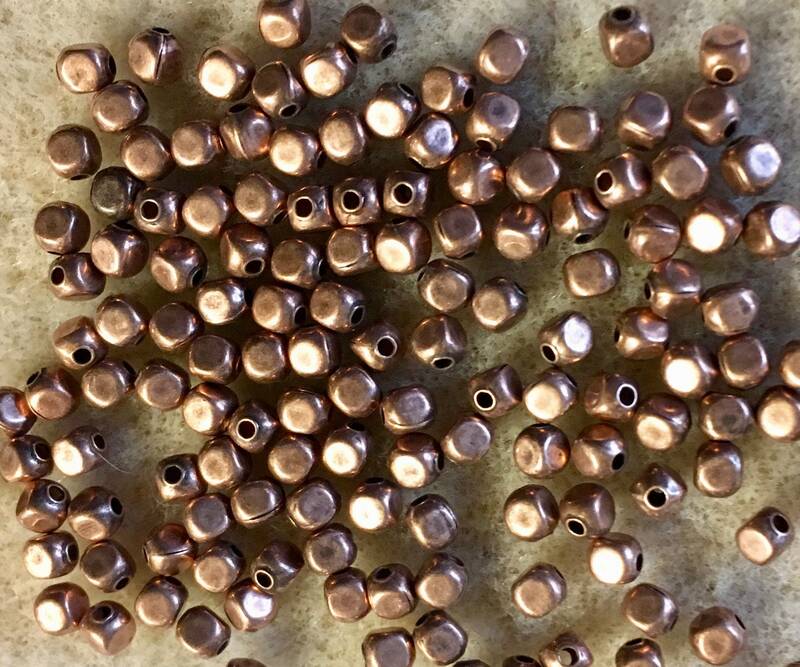 3mm brass copper plated cornerless cube metal beads. Hollow. Antiqued copper plate is a copper plating that has been darkened to provide a "distressed" (oxidized) appearance. This shape is also referred to as a corner-cut cube. Nice shape and patina. Fast shipping. great seller.